Like other businesses in UAE, there are lots of opportunities for professional and amateur photographers in Dubai. It is not such a difficult task to register yourself as a freelance photographer or setting up a company related to photography in Dubai. You can set up your company in mainland UAE while opportunities are also available in the free zones located in Dubai. A good example is Dubai Media City which is specific for activities related to media and studio. As a freelance photographer, you can have several such beautiful spots in Dubai that provide most superb photographic experience. You can use these places to make your profile collection. Few of these places are: the Dhow yard in Dubai, the largest botanical garden ‘Miracle Garden in Dubai’, the Spice Souq (market) in Dubai, the event of Kushti wrestling in the city and the historic neighborhood ‘Bastakiya in Dubai’. But before starting photography as a profession in Dubai, you must consider few important points. The first step is to choose your area of specializations. There are several types of niches in professional photography like commercial photography; portraits, wedding photography etc. and you have to choose one among these to start photography. Another important thing to consider is that purchasing of professional equipment is necessary for becoming a successful photography. It is because this equipment will not only help you use your skills perfectly but customers are more likely to hire photographers who have powerful filters, studio lights, lenses etc. in their photography equipment. The next step is to promote your brand. You can do so even without spending much by creating a portfolio that fully describes your skills and talent. You can easily do so by organizing your best photos in a folder. You will also require joining a professional photographer company even if you are working as a freelance photographer because it will make easier for you to get potential clients according to your professional expertise. Dubai Media City and Dubai Studio City are the two best places for you if you want to start your photography business as a freelancer or as a company in the free zones of Dubai. Dubai Media City and Dubai Studio City not only offers several services for professional photographers but you can also take advantage of the most reputable media hubs of the region in these free zones. The services provided by Dubai Media City and Dubai Studio City include fully furnished business units, simple registration process, generous licensing terms etc. If you want to apply permit as a freelance photographer then you have to provide documents including: passport copy, CV, business plan, credentials, bank reference letter, samples of work and reference letter from previous employer (if possible). The starting cost for license, security deposit, desk space and 3 year UAE resident visa is AED 20,000. At the start of every year, you will pay annual renewal fee of AED 13,500. If you want to setup photography business as a company then your application requirements include: passport copy of owner & manager, CV of owner and manager, business plan and bank reference letter. You will get FZ-LLC license, security deposit, desk space and two UAE resident visas with two year validity for initial cost of AED 48,000. At the start of every year, you will additionally pay AED 35,000 annual renewal fee. After getting photographer license from Media Business Centre in Dubai, you will be provided with services like: 24 hour security & office access, lighting, power, air conditioning, office management & maintenance, use of meeting room, bedrooms & lounge area, daily housekeeping service along with collection & distribution of faxes & mails and others. The above mentioned free zones are best places for starting photography as profession in Dubai. 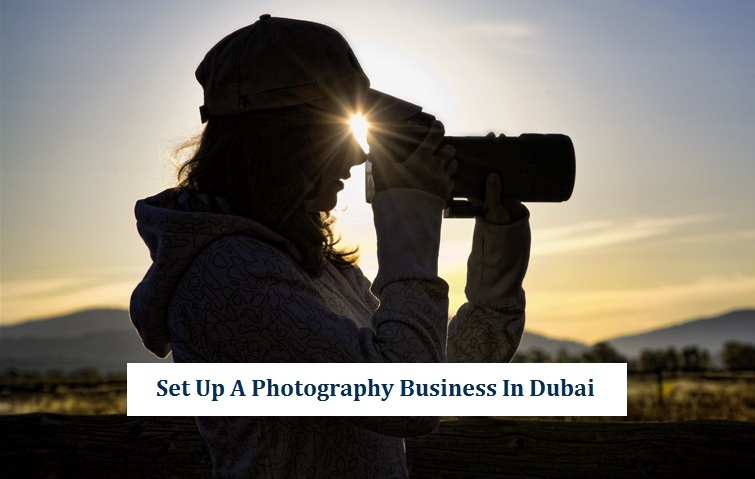 But if you want to start photography in mainland Dubai then you can establish a photography company and 51% shares of the company will be owned by a local Emirati sponsor which is compulsory for setting up of any business in the mainland Dubai. Very nice post. I am freelance photographer in Dubai. Thank you. Can you tell me all requirements about uae law against freelancer photographer in dubai. I want to start photography in dubai as a freelancer. You welcome M El Safi! Wonderful information, thanks a lot for sharing! Thanks for a marvelous posting!